at the type locality, El Oro province, southwest Ecuador. 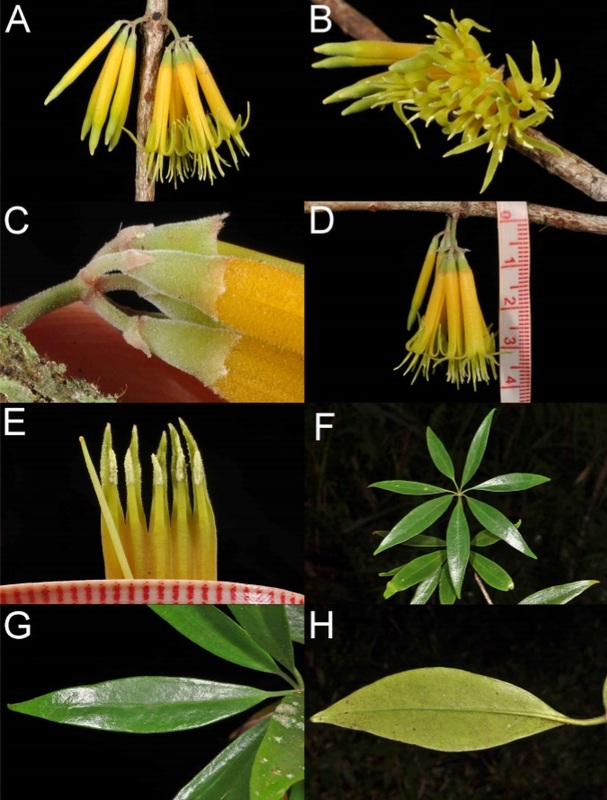 We describe a new species of the genus Oreotrochilus from the southwestern Andes of Ecuador. The new species is most similar in adult male plumage to O. stolzmanni and O. chimborazo. 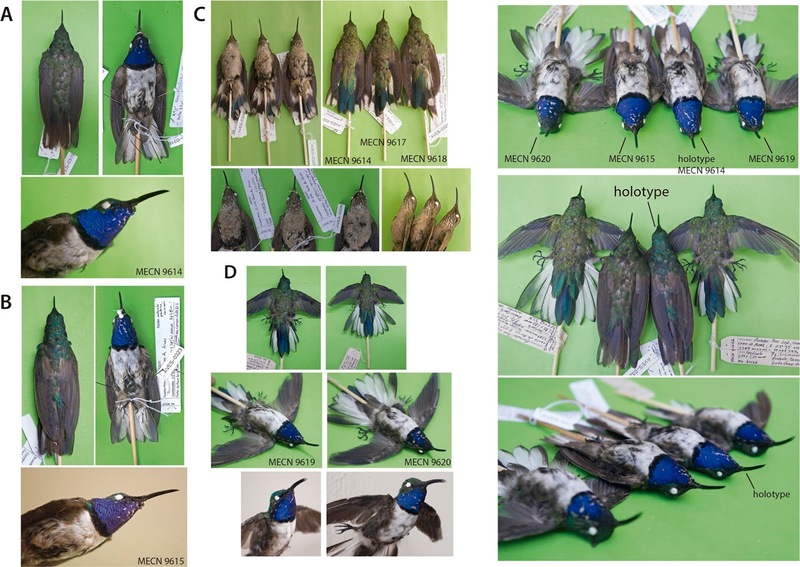 However, male and female show unique combinations of plumage characters that are likely to act as social signals. 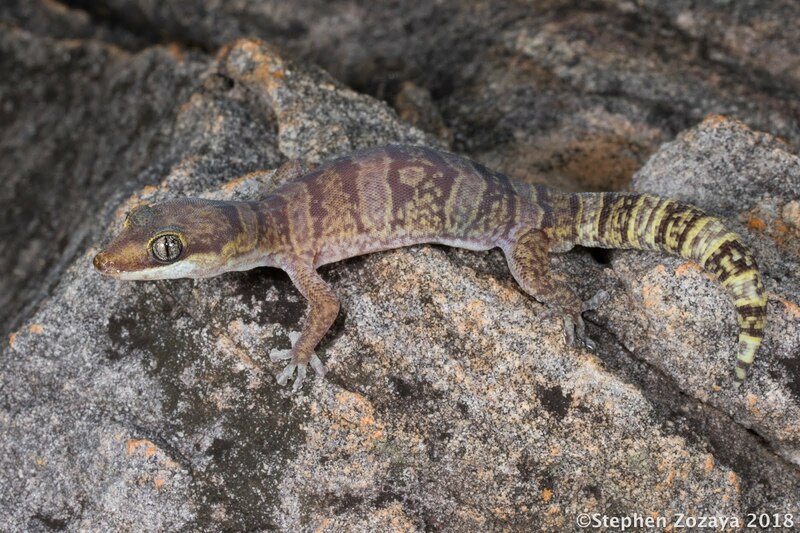 Phylogenetic analyses based on mitochondrial DNA indicate that this new taxon is closely related to O. stolzmanni and O. melanogaster, whereas genetic distances and preliminary comparisons of vocalizations suggest a sister relationship with O. stolzmanni. 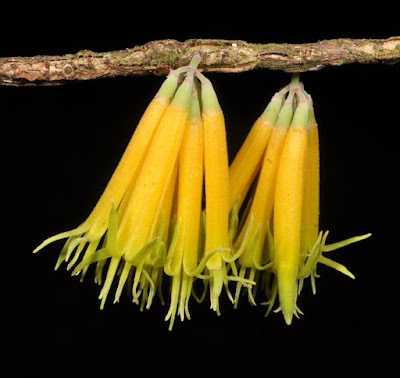 The geographic distribution of the new species seems to be restricted to cordillera Chilla-Tioloma-Fierro Urcu, in the southwestern highlands of Ecuador, an area historically poorly explored by ornithologists. Thus, based on its restricted distribution, apparently low population size, and lack of protection of its habitat, we evaluate it as critically endangered. Holotype: Study skin MECN-9614; adult male (testes 3.7 × 3 mm, no bursa fabricii), 1 km W of Cerro de Arcos, El Oro province; 3,648 m a.s.l. ; collected on May 23, 2017, by F. Sornoza-Molina, J. Freile, and J. Nilsson; prepared by F. Sornoza-Molina; field catalogue number AVES-0319; GenBank accession number MH543324. (A) holotype, (B) paratopotype male, (C) paratopotype females, (D) paratype males. 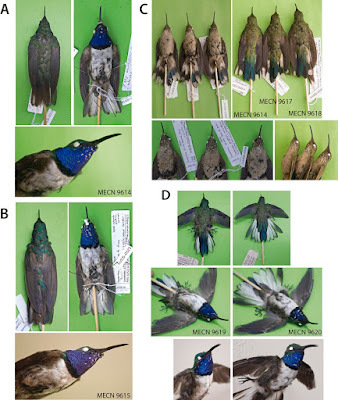 Diagnosis: The following combination of characters are diagnostic for male Oreotrochilus cyanolaemus from other Oreotrochilus species (Figure 4): (1) ultramarine blue throat, (2) emerald green head with blue green terminal tips, (3) emerald green upperparts with blue green terminal tips, (4) narrow and faint emerald green terminal tips to throat feathers. 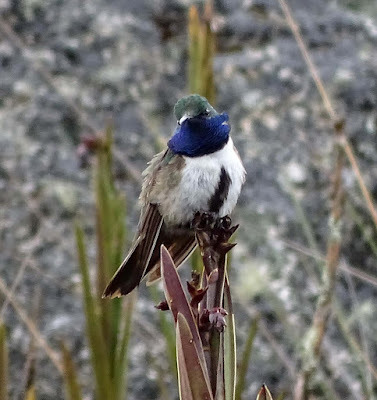 Females are distinguished by the following characters: (1) dusky grayish chin and upper throat contrasting with whitish lower throat, (2) emerald green head with blue green terminal tips, (3) emerald green upperparts with faint blue green shine, especially on the rump. Etymology: The compound specific epithet is a Latinized Greek noun in apposition (ICZN 1999) and describes the most distinctive character of the new species: its deep to ultramarine blue (kuanos) throat patch or gorget (laimos = throat). 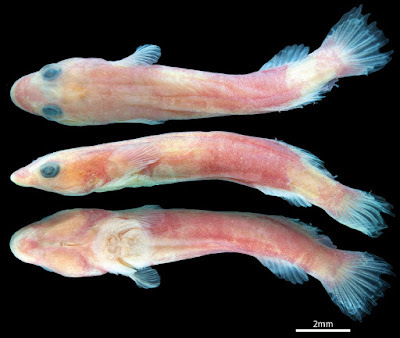 RESUMEN: Describimos una nueva especie del género Oreotrochilus de los Andes suroccidentales de Ecuador. 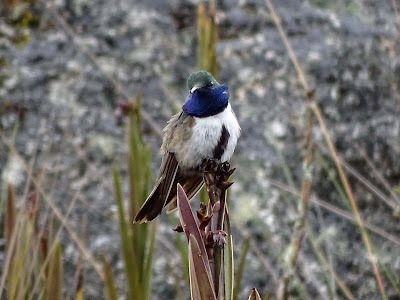 Esta nueva especie se asemeja en plumaje de macho adulto a O. stolzmanni y O. chimborazo. Sin embargo, macho y hembra muestran una combinación única de características de plumaje que probablemente actúan como señales sociales. Los análisis filogenéticos basados en ADN mitocondrial muestran que la nueva especie está más emparentada con O. stolzmanni y O. melanogaster, mientras que las distancias genéticas y un análisis preliminar de vocalizaciones sugieren que es especie hermana de O. stolzmanni. La distribución geográfica de esta nueva especie está al parecer confinada a las cordilleras de Chilla-Tioloma-Fierro Urcu, en los Andes del suroeste de Ecuador, en un área históricamente poco explorada desde el punto de vista ornitológico. En base a su distribución muy restringida, aparente bajo tamaño poblacional y la falta de protección en sus hábitats, la calificamos como críticamente amenazada. in Landschoff, Komai, du Plessis, Gouws & Griffiths, 2018. A new species of hermit crab, Pagurus fraserorum n. sp. 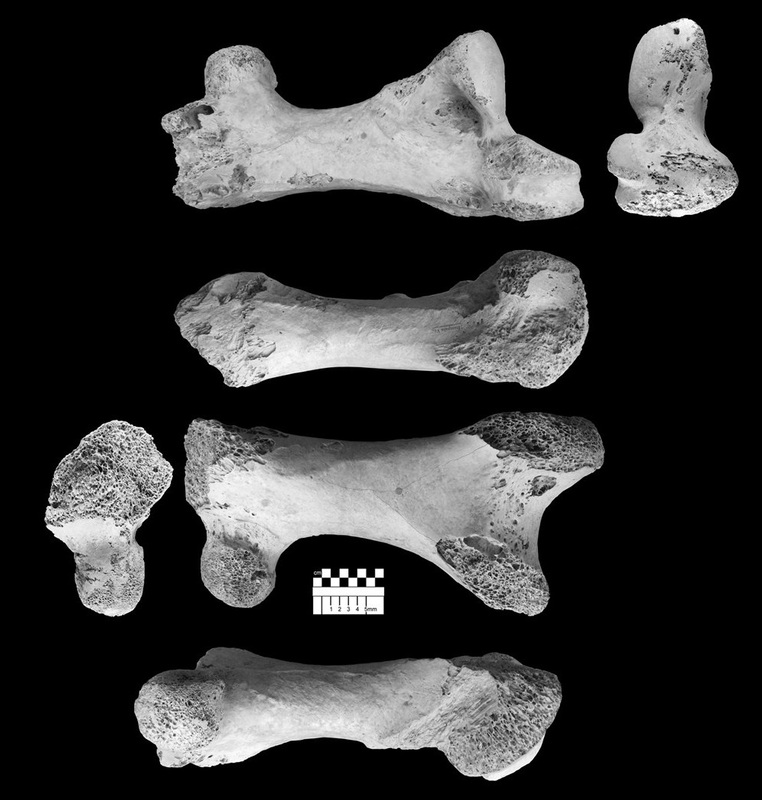 (family Paguridae) is described from rocky subtidal reefs off KwaZulu-Natal, South Africa, and illustrated using both conventional drawings and colour photographs, and via three-dimensional (3D) X-ray micro-computed tomography (μCT). Because of the limitation μCT has in detecting very fine and soft structures, a novel approach of manually drawing setation and spinulation onto the two-dimensional images of the 3D visualizations was used to illustrate the pereopods. 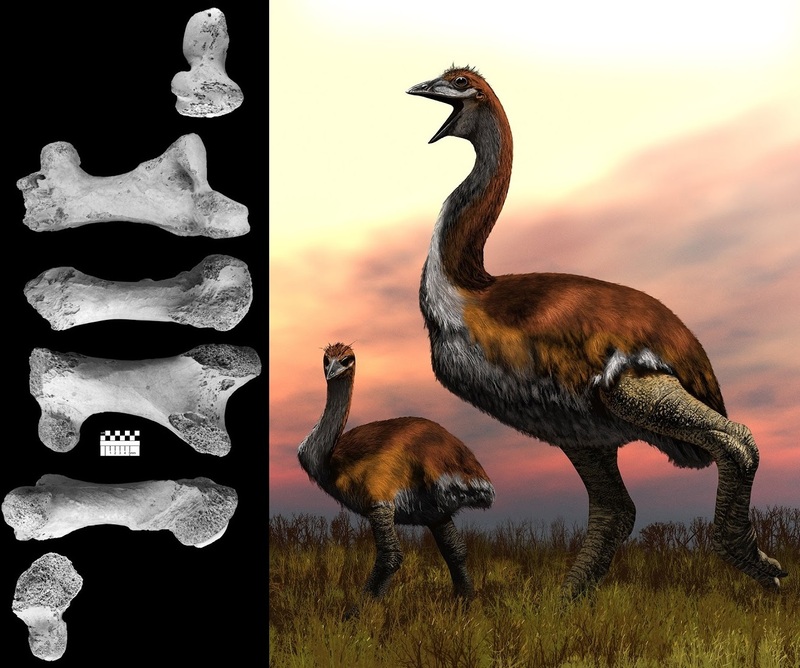 In addition, an interactive figure and rotation movie clips in the supplement section complement the species description, and the 3D raw data of the 3D type data are downloadable from the Gigascience Database repository. The new species is the sixth species of Pagurus Fabricius, 1775 reported from South Africa and is closely allied to the Indo-Pacific P. boriaustraliensis Morgen, 1990 and P. pitagsaleei McLaughlin, 2002, from which it differs by its shorter ocular peduncles, by the armature of the carpus of the right cheliped, and also in colouration. This study presents the first description of a hermit crab in which a majority of taxonomic details are illustrated through 3D volume-rendered illustrations. In addition, colour photographs and COI molecular barcodes are provided, and the latter compared to COI sequences of specimens from Western Australia previously identified as P. boriaustraliensis and of specimens of P. pitagsaleei from Taiwan, as well as to three additional South African members of the genus. 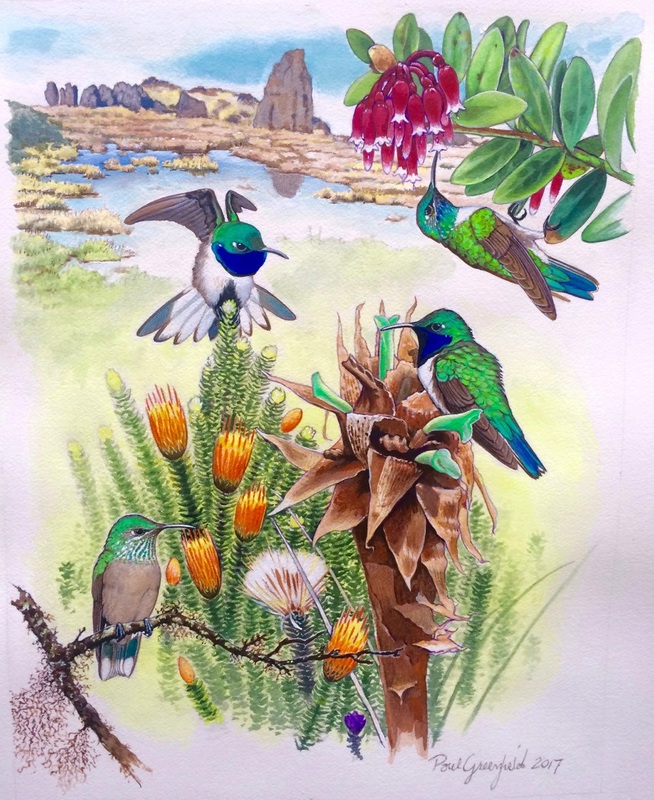 The South African taxon was confirmed to be genetically distinct from all species tested. 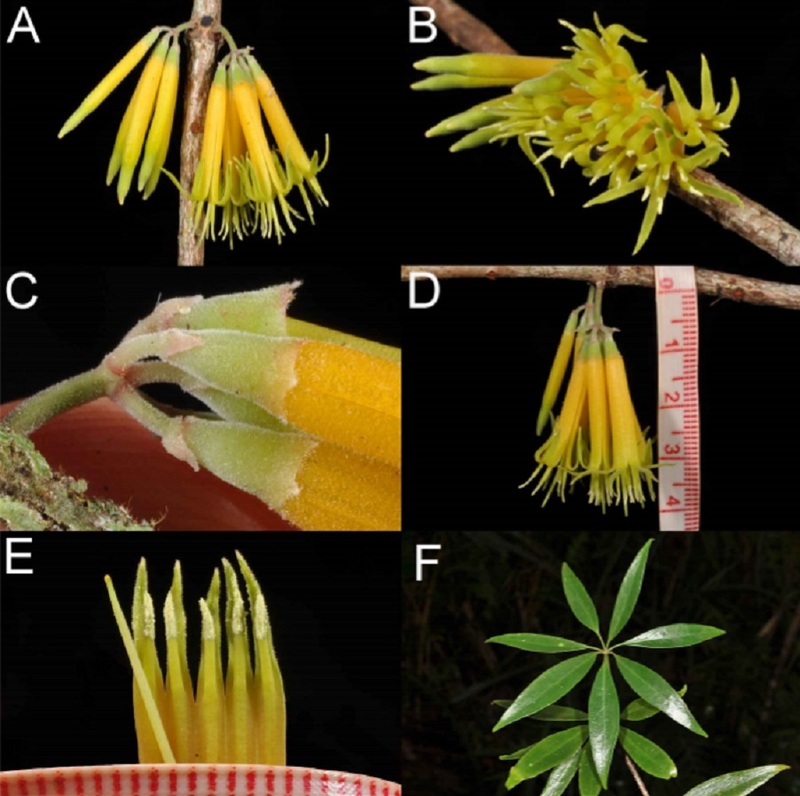 Pagurus fraserorum Landschoff & Komai, n. sp. Fig 6. Pagurus fraserorum n. sp., colouration in life or fresh. (A) male holotype 2.7 mm (SAMC MB-A066790), dorsal view; (B) ovigerous female paratype 2.4 mm (SAMC MB-A066770), dorsal view; (C) holotype, frontal view, in shell; (D) female paratype 2.4 mm (SAMC MB-A066407), left lateral view, parasitized by undescribed parasitic gills isopod Pseudionella sp..
Pagurus fraserorum n. sp., colouration in life or fresh. male holotype 2.7 mm (SAMC MB-A066790), frontal view, in shell. Pagurus fraserorum n. sp., colouration in life or fresh. (D) female paratype 2.4 mm (SAMC MB-A066407), left lateral view, parasitized by undescribed parasitic gills isopod Pseudionella sp..
Distribution: Known from rocky reefs off Pumula and Hibberdene, near Port Shepstone, KwaZulu-Natal, South Africa, and from a photographic record from Vetch’s Pier, Durban, South Africa; 6–20 m depth. Parasites: Host of an undescribed parasitic bopyrid isopod Pseudionella sp. (Fig 6D) that is currently being described by Williams & Landschoff, and of a second parasitic isopod, Pseudione sp., both inhabiting the branchial chamber. Etymology: The species is named after the Fraser family, in particular Valda and Mike, but also to their son Allan and honours their deep passion for the marine world and the many exciting species discoveries they have made in South African waters. 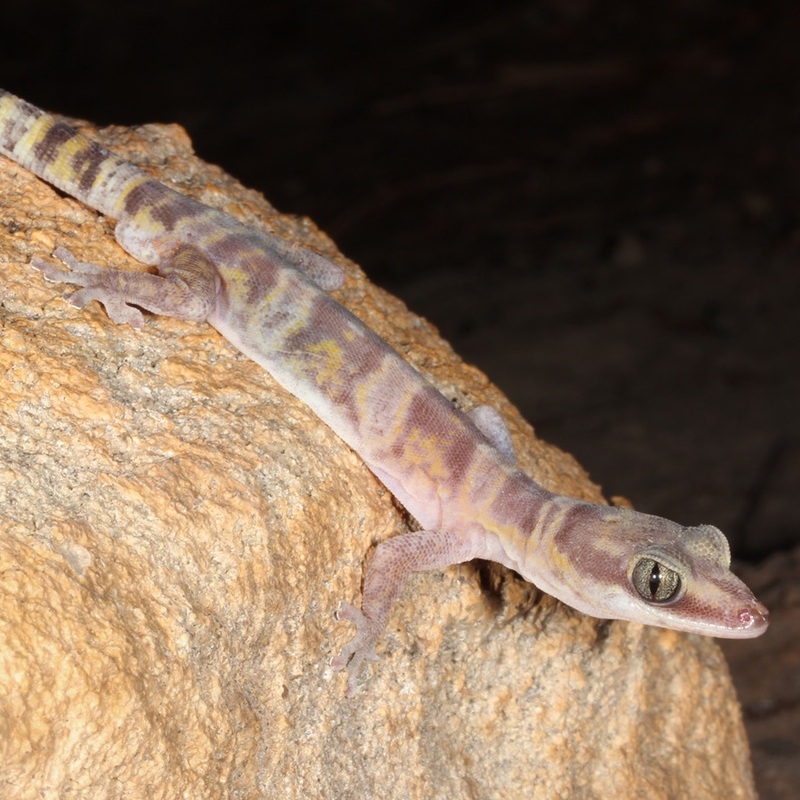 Mike and Valda generously hosted the senior author and his supervisor Charles L. Griffiths over the collection trip in October 2015, when this species was first recorded. This sampling would have not been possible without the use of the facilities and guidance they provided. Flexor incus, new genus and species, is described from 15 specimens (14.0–27.2 mm SL) collected from shallow (0–9 meters) intertidal and sub-tidal waters of the Rangitāhua Kermadec Islands, New Zealand. The new taxon is distinguished from all other members of the Gobiesocidae by a combination of characters, including a heterodont dentition comprising both conical and distinct incisiviform teeth that are laterally compressed with a strongly recurved cusp, an oval-shaped opening between premaxillae, a double adhesive disc with a well-developed articulation between basipterygia and ventral postcleithra, and many reductions in the cephalic lateral line canal system. The new taxon is tentatively placed within the subfamily Diplocrepinae but shares a number of characteristics of the oral jaws and the adhesive disc skeleton with certain members of the Aspasminae and Diademichthyinae. New Zealand, Kermadec Islands, Raoul Island. Figure 2. Flexor incus, Te konui Point, Raoul Island, Kermadec Islands, 28 meters depth, photographed by R. Robinson (www.depth.co.nz) during the 2011 Kermadec Islands Biodiscovery Expedition, a project led by the Auckland Museum. Specimen not retained. Diagnosis: A genus of the Gobiesocidae differing from all other genera by a combination of characters, including: head and anteriormost part of body similar in width; a relatively elongate body with a small, double adhesive disc located beneath anteriormost part of body; an oval-shaped gap between premaxillae formed by a semicircular indentation along medial edge of premaxilla; premaxilla with a single row of teeth, comprising 2–3 peg-like, conical teeth anteriorly at, and adjacent to, symphysis and 10–12 strongly laterally compressed, incisiviform teeth with strongly recurved cusp, along outer margin of bone; lower jaw with a single row of 14–16 small, conical teeth with sharply pointed and slightly recurved tip; posterior tip of basipterygium expanded and articulating with anteromedial edge of ventral postcleithrum via a shallow concave facet; mandibular portion of preoperculo-mandibular lateral line canal absent; lachrymal canal with two pores; upper and lower lip simple, uniform in thickness along jaw margin. Etymology: New Latin, anatomical term for muscles, from the Latin flexus, past participle of flectere, to bend. 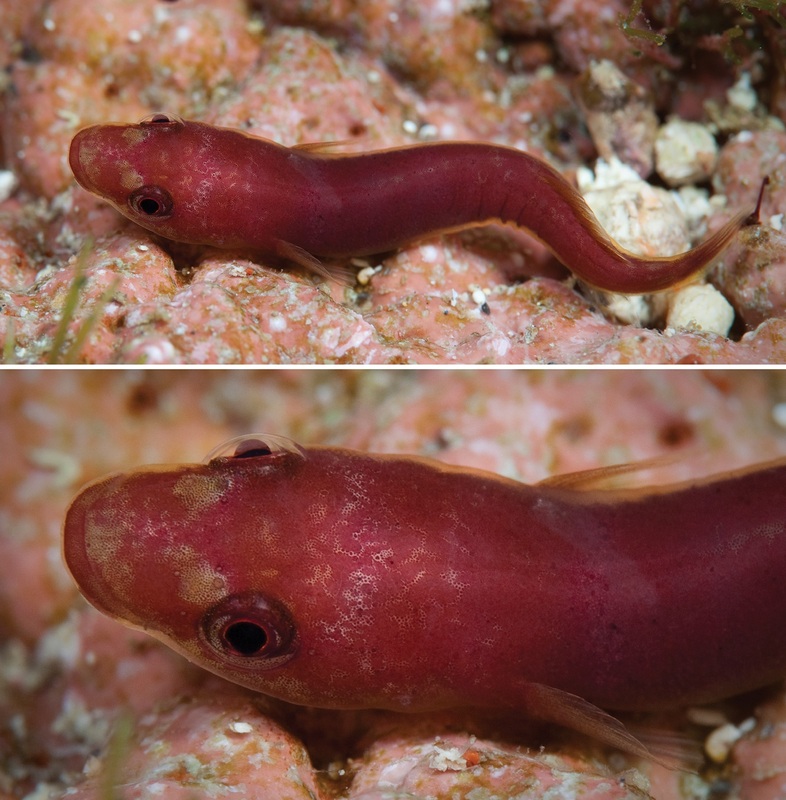 In reference to the great flexibility of clingfishes, many of which have the ability to bend the body so that the tail end comes to lie close to the head. Masculine. Trnski et al. 2015: 473, 476, Table 1. Etymology. 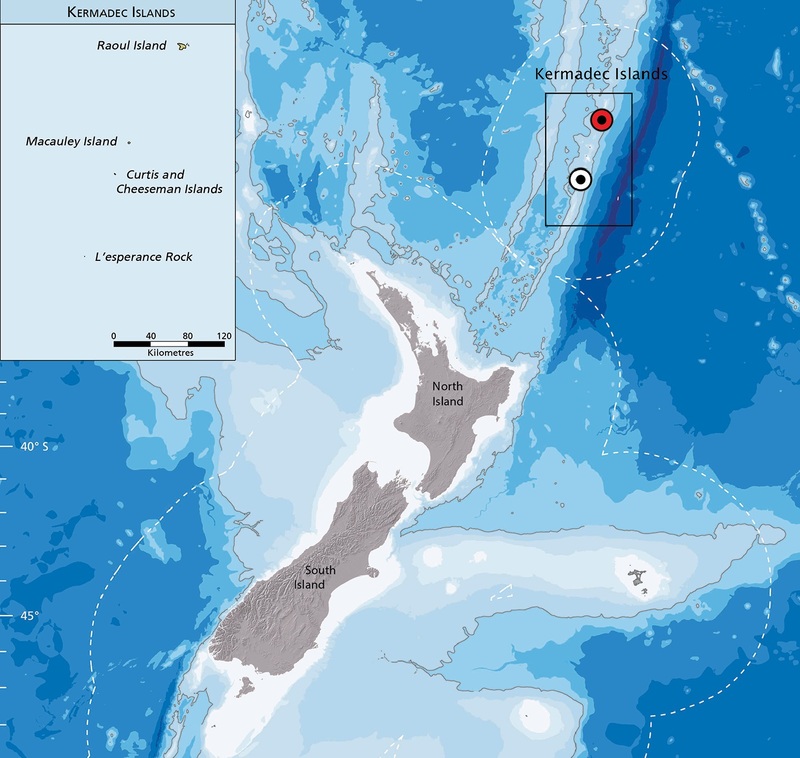 Incus is the Latin word for anvil, in reference to the anvil-like outline of Raoul Island, the largest island in the Kermadec archipelago and type locality of the new species. A noun in apposition. Figure 11. Distribution of Flexor incus. Type locality in red. Distribution and habitat. 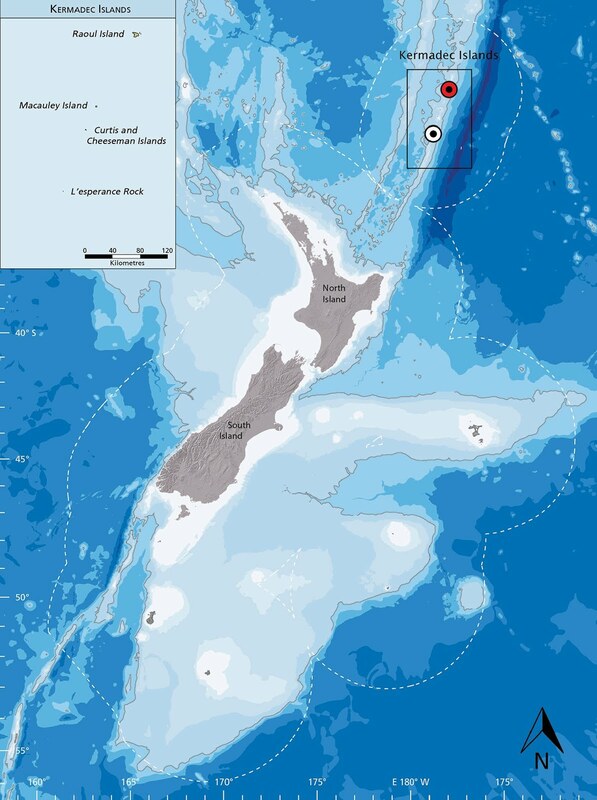 Known to date only from intertidal and subtidal waters of the Kermadec Islands (Figure 11), including Raoul Island (type locality) and L’Esperance Rock. The majority of available specimens were collected from rock pools and from shallower subtidal areas (down to 9 meters) over rock and coral rubble substrates using ichthyocides (Stewart 2015). However, a single specimen of the new species has been observed (and photographed) at 28 meters in depth (Figure 2). in Heim, Trense, Heim, et al., 2018. 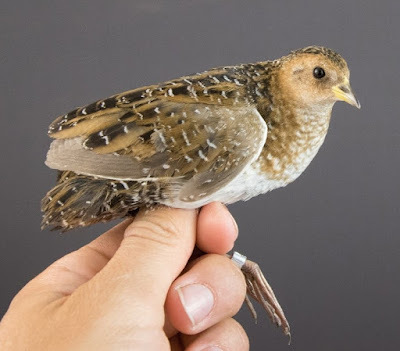 The ‘Vulnerable’ Swinhoe’s Rail Coturnicops exquisitus is believed to occur in only two regions in Russia’s Far East and China’s Heilongjiang province, separated by more than 1,000 km. Recent observations suggest that the Amur region, situated between the two known populations, might be inhabited by this secretive species as well. 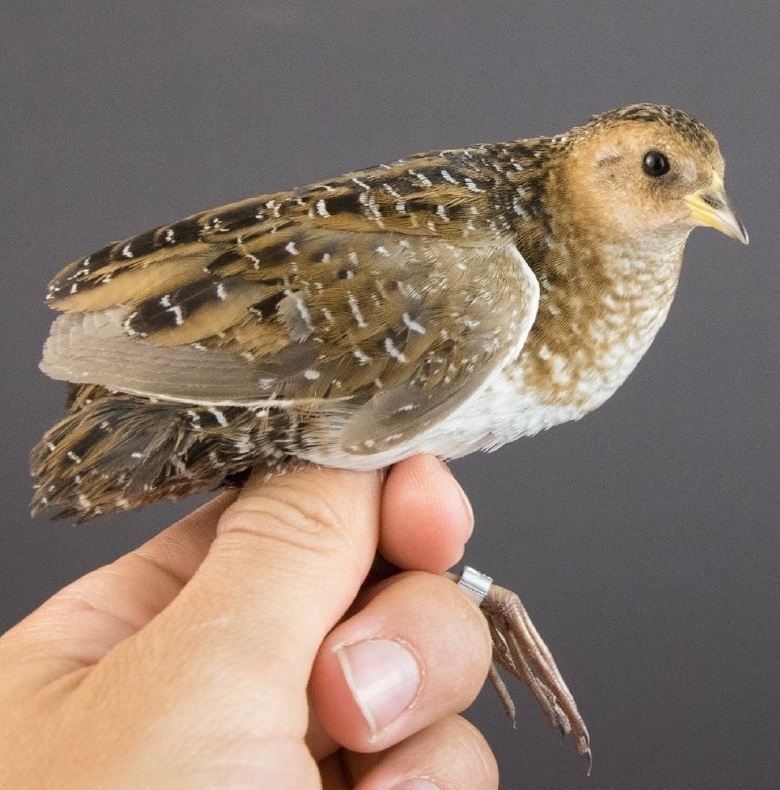 As the species is rather similar in appearance and field characteristics to its Nearctic sister taxon, the Yellow Rail C. noveboracensis, and almost all field records relate to flushed individuals in flight, we aimed to complement the field observations by genetic evidence. Samples were obtained from four individuals and one eggshell and their mitochondrial cytochrome b genes were amplified and sequenced. The genetic analyses unequivocally confirmed that swab samples and eggshell were attributable to Swinhoe’s Rail, thus constituting the first known breeding record of this species for 110 years. It is therefore likely that the individuals observed in the field also belonged to this species. It seems possible that Swinhoe’s Rail is more widely distributed in the Amur region and was overlooked in the past, possibly due to a misleading description of its calls in the literature. 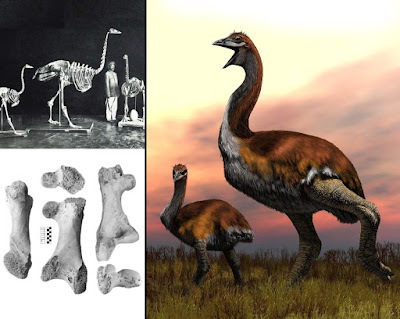 Madagascar's now-extinct radiation of large-bodied ratites, the elephant birds (Aepyornithidae), has been subject to little modern research compared to the island's mammalian megafauna and other Late Quaternary giant birds. 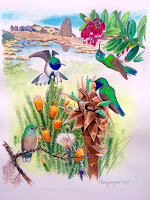 The family's convoluted and conflicting taxonomic history has hindered accurate interpretation of morphological diversity and has restricted modern research into their evolutionary history, biogeography and ecology. We present a new quantitative analysis of patterns of morphological diversity of aepyornithid skeletal elements, including material from all major global collections of aepyornithid skeletal remains, and constituting the first taxonomic reassessment of the family for over 50 years. 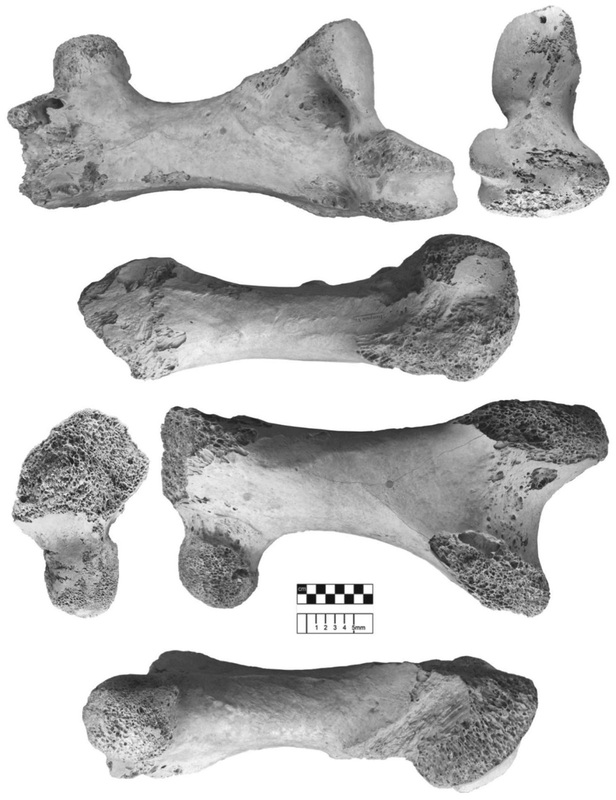 Linear morphometric data collected from appendicular limb elements, and including nearly all type specimens, were examined using multivariate cluster analysis and the Bayesian information criterion, and with estimation of missing data using multiple imputation and expectation maximization algorithms. These analyses recover three distinct skeletal morphotypes within the Aepyornithidae. 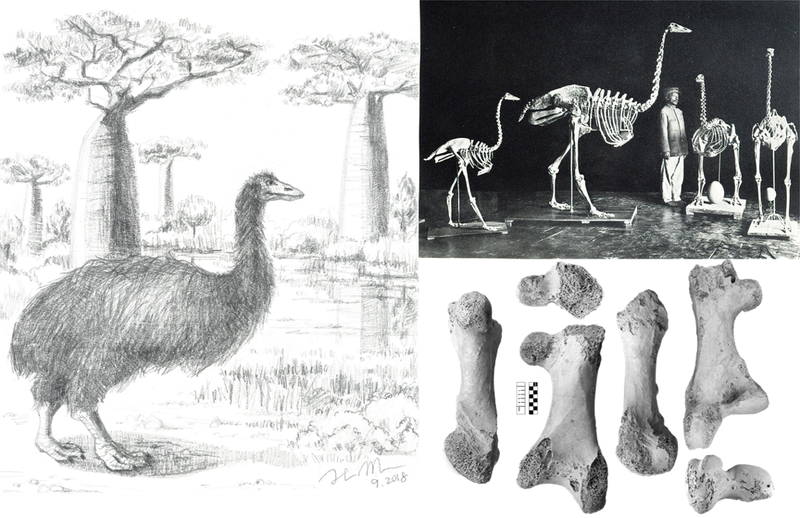 Two of these morphotypes are associated with the type specimens of the existing genera Mullerornis and Aepyornis, and represent small-bodied and medium-bodied aepyornithids, respectively. 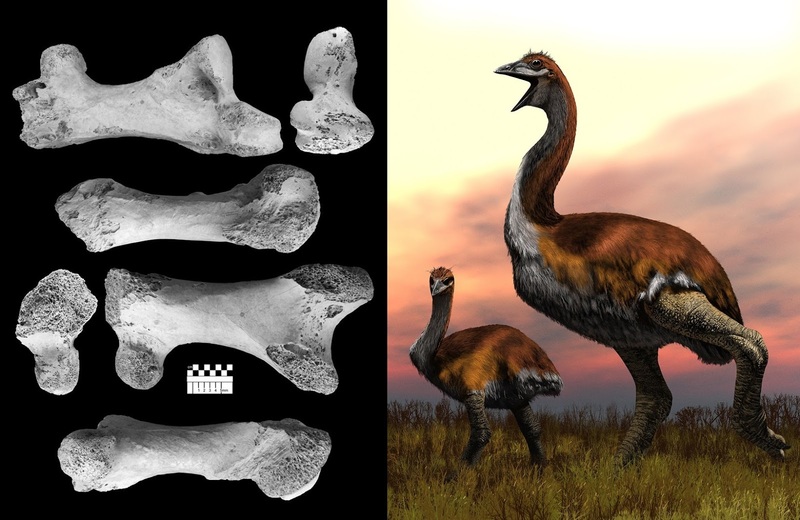 Aepyornis contains two distinct morphometric subgroups, which are identified as the largely allopatric species A. hildebrandti and A. maximus. The third morphotype, which has not previously been recognized as a distinct genus, is described as the novel taxon Vorombe titan. Vorombe represents the largest-bodied aepyornithid and is the world's largest bird, with a mean body mass of almost 650 kg. This new taxonomic framework for the Aepyornithidae provides an important new baseline for future studies of avian evolution and the Quaternary ecology of Madagascar. Type species: Aepyornis maximus Geoffroy Saint-Hilaire, 1851 (by monotypy). 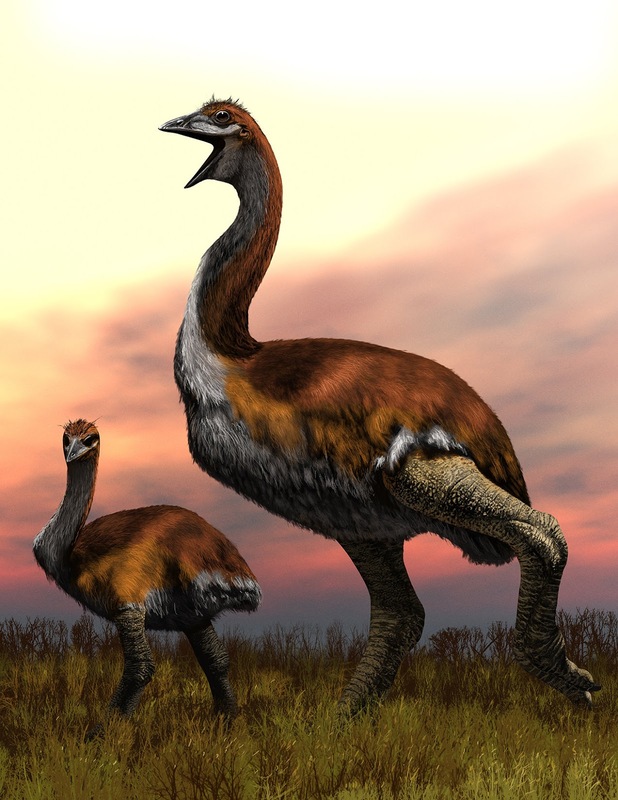 Type species: Mullerornis betsilei Milne-Edwards and Grandidier, 1894; designated by Richmond. Etymology: From the Malagasy for ‘big bird’ (neuter). Figure 7. 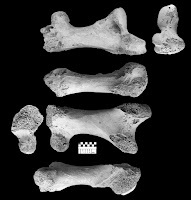 Vorombe titan , femur (NHMUK A439), Itampolo (Itampulu Vé), Madagascar; part of syntype series. Fig. 1. Cerasus kumanoensis, sp. 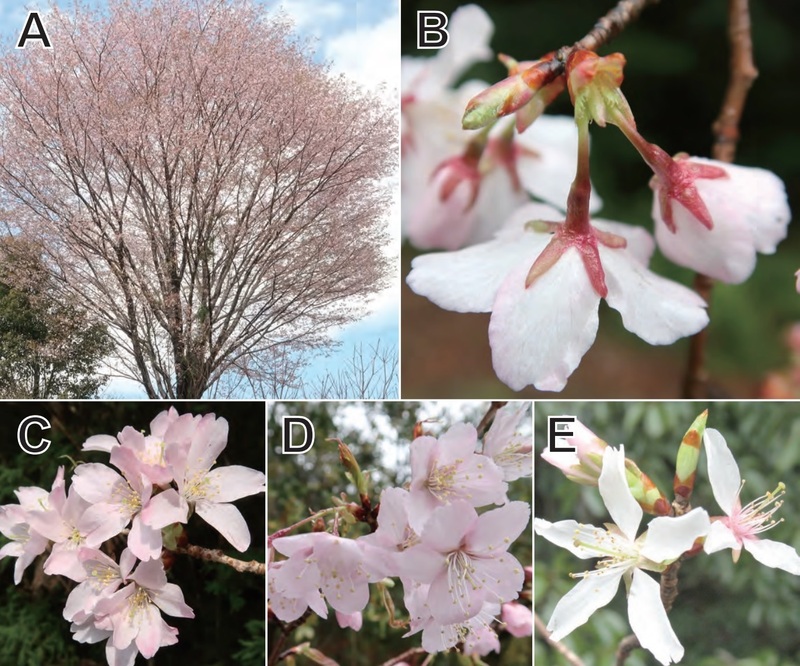 nov.
A, shape of tree in full bloom (in Kumano on 9 Apr. 2017, TFA HAD-000288); B, hypanthium and calyx lobes [in Kozagawa on 21 Mar. 2017, TI00012970 (holotype)]; C–E, flower (C in Kumano on 9 Apr. 2017, TFA HAD-000295, D in Kushimoto on 21 Mar. 2017, FA HAD-000213, E in Kumano on 14 Mar. 2017, TFA HAD000190); F, mature fruit (in Kumano on 28 May 2017, TFA HAD-000295); G, leaves on short shoot (TI00012971). FIGURE 1. Holotype of Oedura argentea sp. nov. (QM J96296) in life; Cobbold Gorge. Etymology. 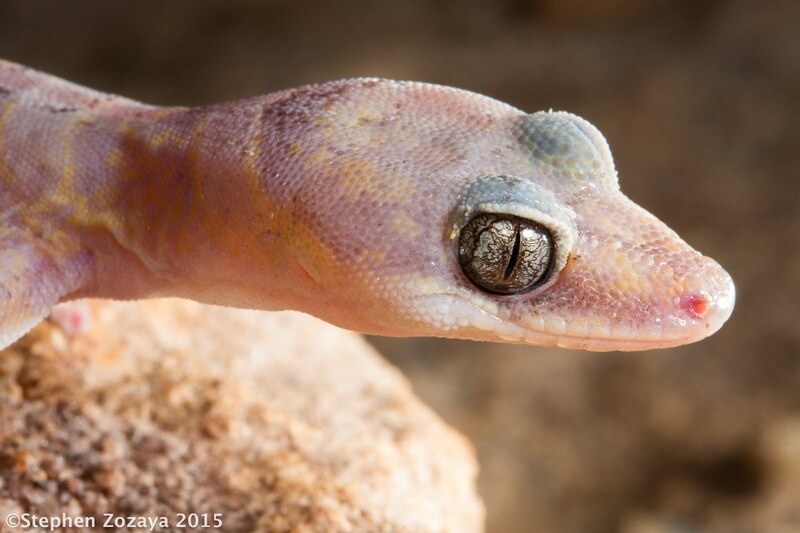 From the Latin adjective argenteus, meaning silver or silvery, in reference to the silvery iris of this species, which is unique among eastern Australian Oedura. The name is used here as an adjective in its feminine form. Habitat of Oedura argentea sp. 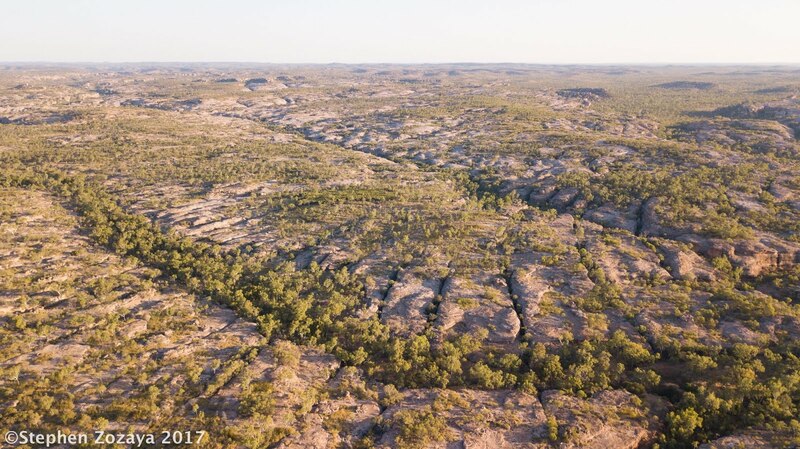 nov. at Cobbold Gorge. in Pelser, Olimpos, O'Byrne & Barcelona, 2018. Our recent fieldwork in the island of Negros, Philippines resulted in the discovery of a species new to science, Amyema lisae (Loranthaceae), and a new record for the Philippines, Gastrodia sabahensis (Orchidaceae), which we describe and report here. 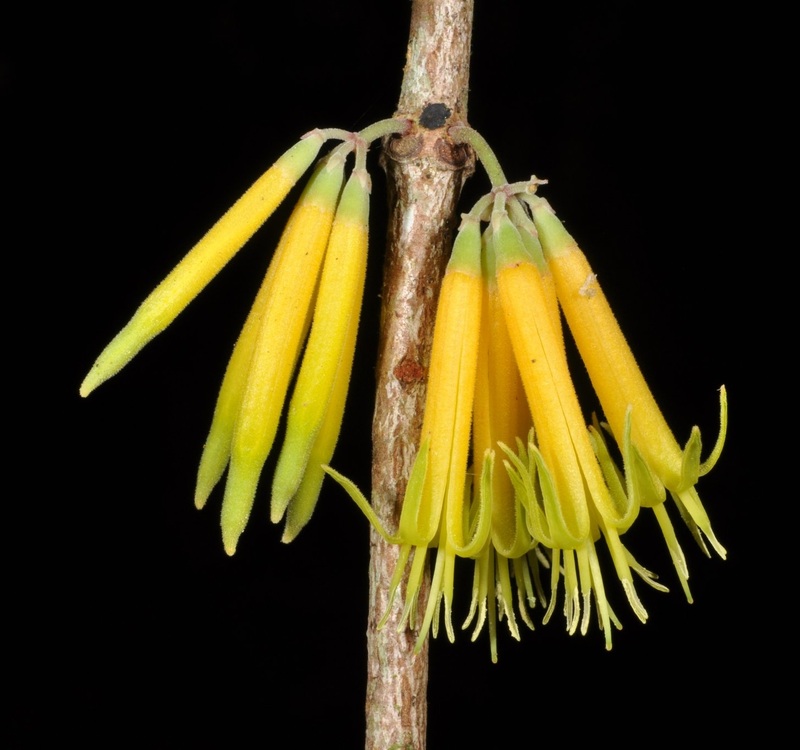 Amyema lisae differs from similar species with verticillate phyllotaxy and inflorescences of simple umbels by having relatively smaller leaves and 5-merous flowers that are yellow and tomentose. 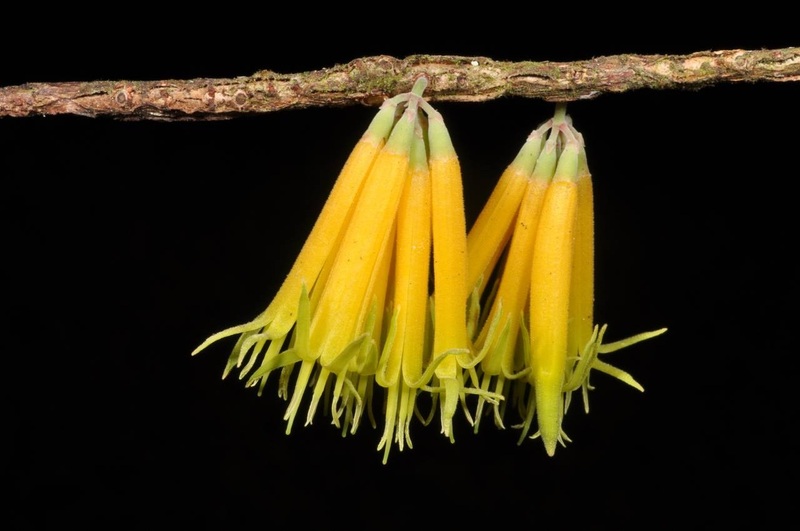 This new species is named in honor of Lisa J. Paguntalan, a champion of biodiversity conservation in the Philippines. In the same island, we also collected Gastrodia sabahensis, previously only known to occur in Borneo. Our specimens differ from typical plants of this species by having larger flowers with column bases that are slightly broader and stelidia that are broad with blunt apices. 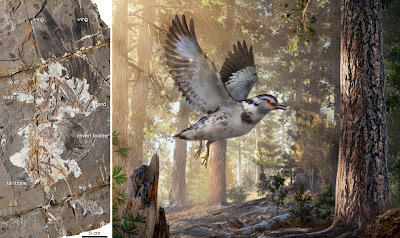 We report the second most basal clade of the short-tailed birds (Pygostylia) from the Early Cretaceous. The new family Jinguofortisidae exhibits a mosaic assembly of plesiomorphic nonavian theropod characteristics, particularly of the fused scapulocoracoid and more derived flight-related features, further increasing the known ecomorphological diversity of basal avian lineages. We discuss the evolution of the scapula and coracoid in major tetrapod groups and early birds and hypothesize that the fused scapulocoracoid in some basal avian lineages, although rare, results from an accelerated rate of ossification and that the avian shoulder girdle likely was transformed by developmental plasticity along an evolutionary lineage leading to the crown group of birds. 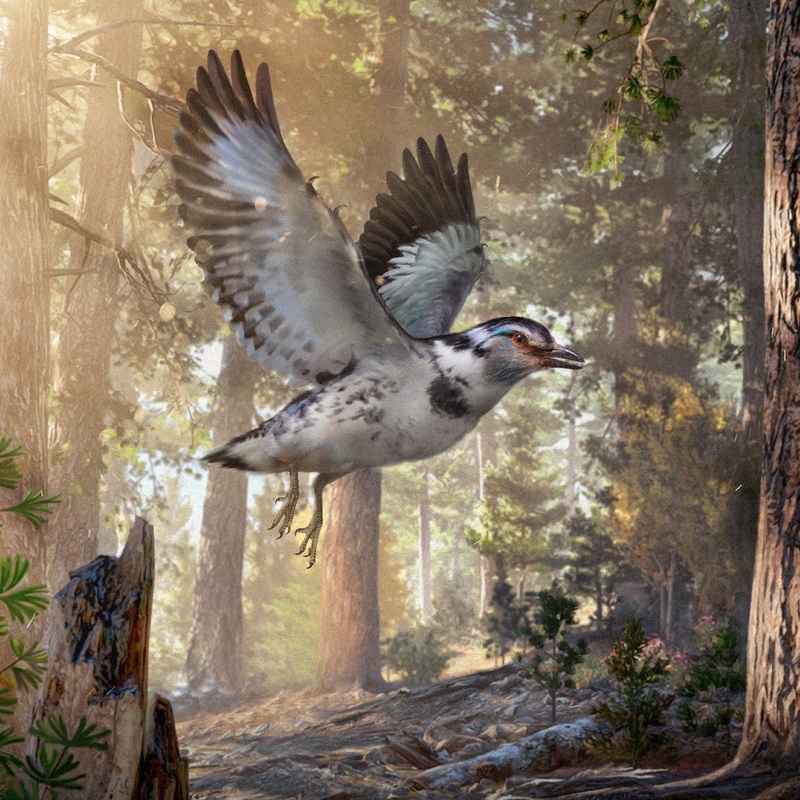 Early members of the clade Pygostylia (birds with a short tail ending in a compound bone termed “pygostyle”) are critical for understanding how the modern avian bauplan evolved from long-tailed basal birds like Archaeopteryx. 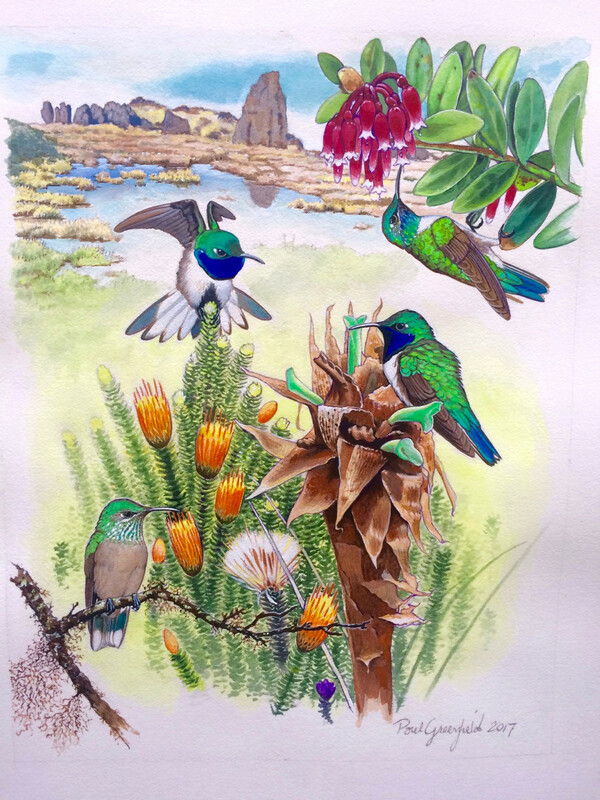 However, the currently limited known diversity of early branching pygostylians obscures our understanding of this major transition in avian evolution. Here, we describe a basal pygostylian, Jinguofortis perplexus gen. et sp. 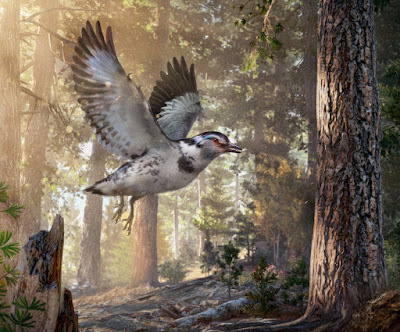 nov., from the Early Cretaceous of China that adds important information about early members of the short-tailed bird group. 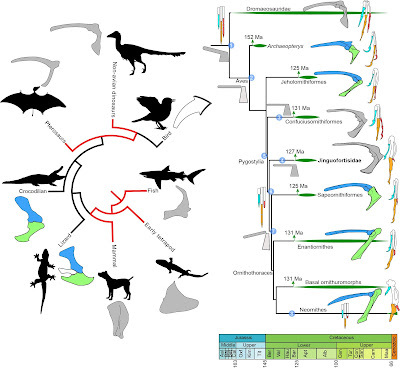 Phylogenetic analysis recovers a clade (Jinguofortisidae fam. nov.) uniting Jinguofortis and the enigmatic basal avian taxon Chongmingia that represents the second earliest diverging group of the Pygostylia. Jinguofortisids preserve a mosaic combination of plesiomorphic nonavian theropod features such as a fused scapulocoracoid (a major component of the flight apparatus) and more derived flight-related morphologies including the earliest evidence of reduction in manual digits among birds. The presence of a fused scapulocoracoid in adult individuals independently evolved in Jinguofortisidae and Confuciusornithiformes may relate to an accelerated osteogenesis during chondrogenesis and likely formed through the heterochronic process of peramorphosis by which these basal taxa retain the scapulocoracoid of the nonavian theropod ancestors with the addition of flight-related modifications. 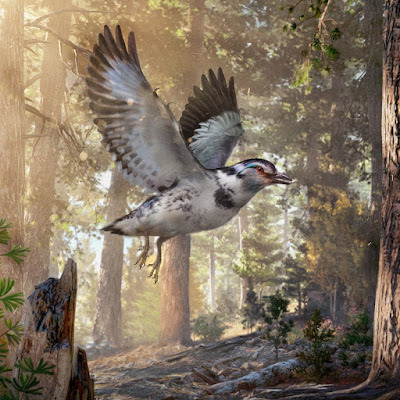 With wings having a low aspect ratio and wing loading, Jinguofortis may have been adapted particularly to dense forest environments. 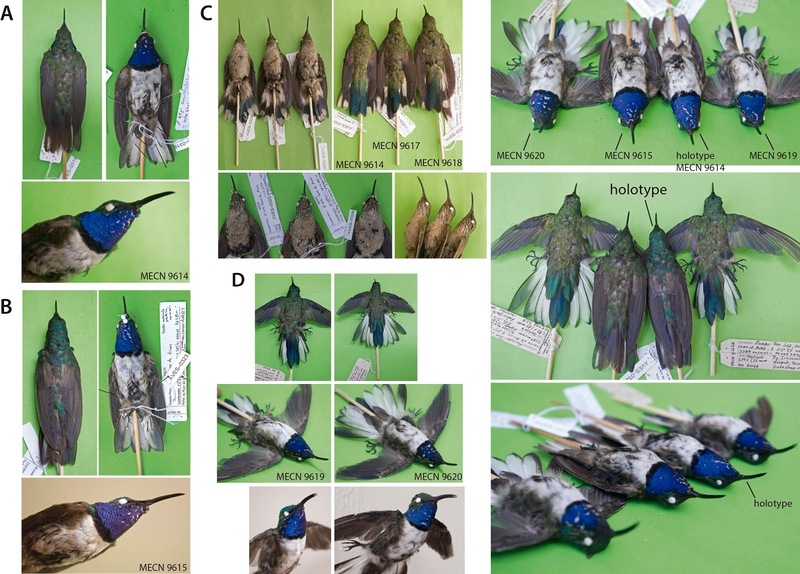 The discovery of Jinguofortis increases the known ecomorphological diversity of basal pygostylians and highlights the importance of developmental plasticity for understanding mosaic evolution in early birds. Jinguofortis perplexus gen. et sp. nov., IVPP V24194. Photographs of counter slab and main slab. Jinguofortis perplexus gen. et sp. nov.
Holotype: A complete and articulated skeleton with feathers is housed at the Institute of Vertebrate Paleontology and Paleoanthropology (IVPP) under the collect number IVPP V24194 (Fig. 1 and SI Appendix, Figs. S1–S7 and Table S1). Etymology: The generic name is derived from “jinguo” (Mandarin), referring to female warrior, and “fortis”, Latin for brave; the specific name is derived from Latin “perplexus,” referring to the combination of plesiomorphic and derived characters present in the holotype specimen. 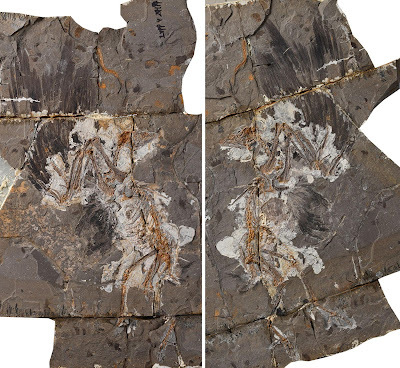 Locality and Horizon: IVPP V24194 was collected near the village of Shixia, Weichang County, Hebei Province, China; Lower Cretaceous Dabeigou Formation of the Jehol Biota (127 ± 1.1 Ma). Fig. 3. Changes to the scapula and coracoid in vertebrates with a focus on basal avian clades. A simplified tree of vertebrates (Left) shows the scapula (colored in blue) and coracoid (in green) fused into a scapulocoraocid (in gray) in most major tetrapod clades (see SI Appendix, SI Text, for details). Simplified cladogram of basal Aves (Right) shows the changes to the shoulder girdle and manus (see SI Appendix, Fig. S8, for complete phylogenetic result). Thick green lines near each clade denote temporal range with the first-appearance datum denoted. 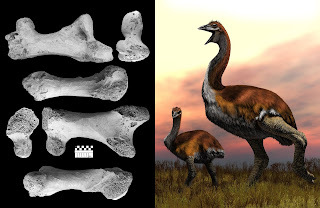 Major changes to the shoulder girdle and manus across basal avian phylogeny are summarized: (1) in most nonavian theropods, the scapula and coracoid are fused into a scapulocoracoid at an obtuse angle, and they have a manual phalangeal formula of 2–3-4; (2) scapula and coracoid become separated and form an angle of ∼90°; (3, 4) independent evolution of a fused scapulocoracoid in the Confuciusornithiformes and Jinguofortisidae; (6) minor digit is reduced resulting in a manual phalangeal formula of 2–3-2; (7) scapula and coracoid are decoupled and form an acute angle with further manual digit reduction evolving in derived ornithuromorphs; (8) alternatively, it is equally parsimonious that a fused scapulocoracoid evolved at the base of Pygostylia and was lost in pygostylians crownward of Jinguofortisidae (5). in Ren, Wang, Nguyen, Hoang, Zhong, et al., 2018. 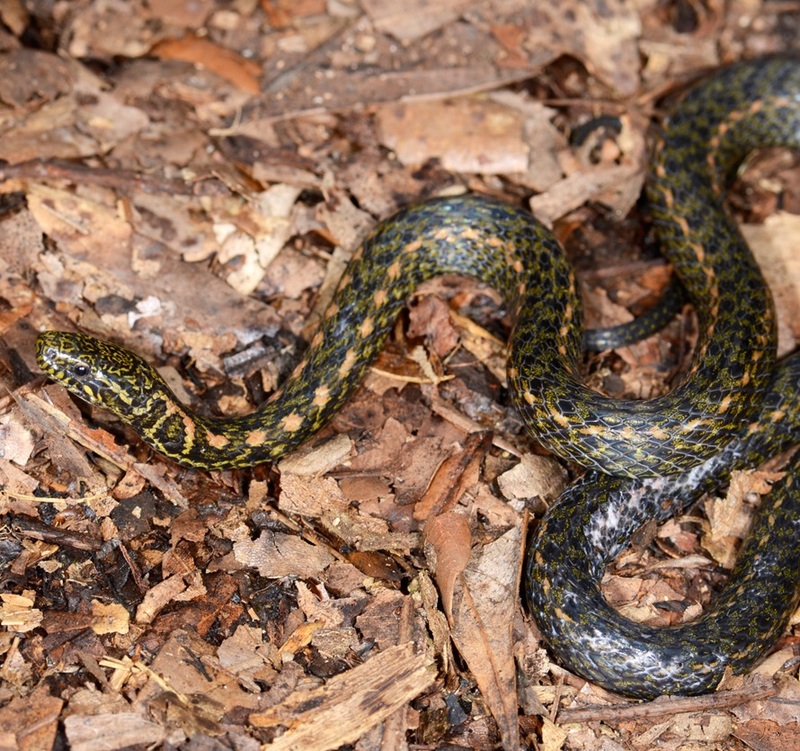 The Asian monotypic genus Pararhabdophis Bourret, 1934 has long been known from a single holotype of the type species Pararhabdophis chapaensis Bourret, 1934 only. 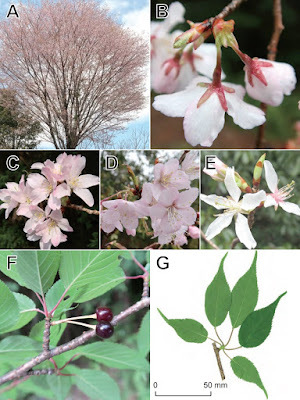 The limited available information hampered the identification of the natricine species. 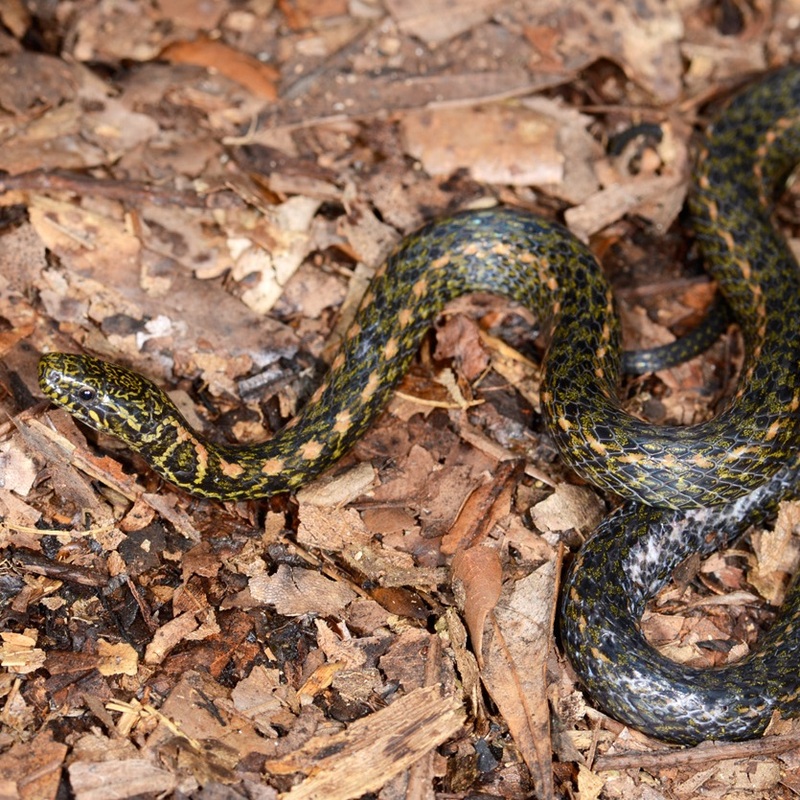 On the basis of eight newly collected specimens of P. chapaensis from the type locality in Sa Pa, Lao Cai Province, Vietnam and from Pingbian, Yunnan Province in southwestern China, the taxonomic position of the genus Pararhabdophis was re-evaluated using both morphological and molecular datasets for the first time. Pararhabdophis chapaensis is nested within the genus Hebius Thompson, 1913 with strong support, and morphologically indistinguishable from the latter genus. As a consequence, we herein synonymize the genus Pararhabdophis with Hebius and discuss about the existing paraphyly of some Hebius species. 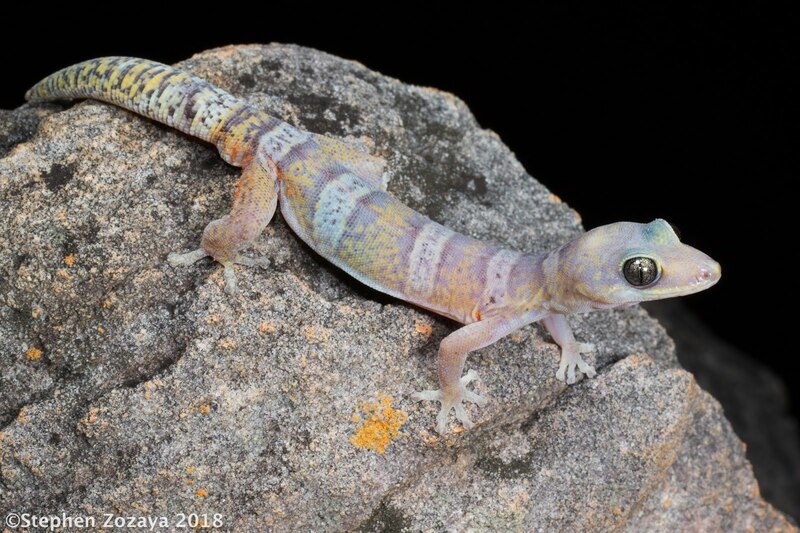 In addition we report Hebius chapaensis for the first time from China and provide redescription and natural history data of this poorly known species. To facilitate future taxonomic work, an identification key to all known natricine genera from China and Vietnam is also provided. General aspect of Hebius chapaensis (YBU 14026; male), showing coloration in life, Daweishan National Nature Reserve, Pingbian County, southern Yunnan Province, China. 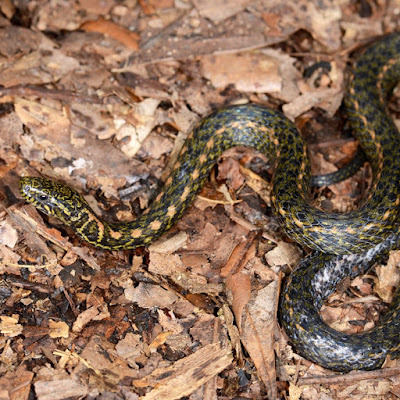 Pararhabdophis chapaensis Bourret, 1934. Bull. Gén. Instr. Publ. Hanoi 14 (7): 131–132, fig. 2. Type locality. “Chapa, province de Laokay (Tonkin), à l’altitude moyenne de 1.600 m., Indochine française” [= Sa Pa, NW Lao Cai Prov., ext. N Vietnam, ..., elevation 1500–1600 m]. Holotype. MNHN 1938.0125 (formerly RLB M.270), a 690+ mm male (Collected by R.L. Bourret, collected around 1930–1931). Etymology. 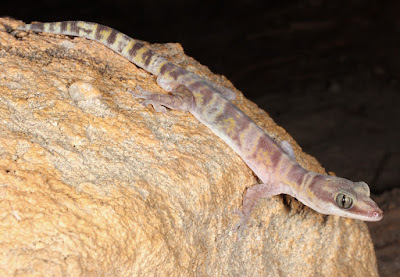 The original generic nomen, Pararhabdophis, is based on the Greek prefix para-, meaning near or similar, and the natricine generic name Rhabdophis, presumably refers to the morphological similarity between two genera, and the gender of this generic name is possibly masculine. The newly referred generic nomen is Hebius, which was erected by Thompson (1913) on the basis of the morphology of the hemipenis. The generic name presumably derived from the Greek noun ἥβη “hebe”, meaning youth or pubescence, maybe refers to the densely spinous hemipenis, which is the salient diagnostic characteristic of this group. The gender of this generic name is masculine. The species name is derived from the type locality of this species (Chapa, = Sa Pa, in Lao Cai Province of Vietnam) and it remains unchanged if the gender of the genus changes. 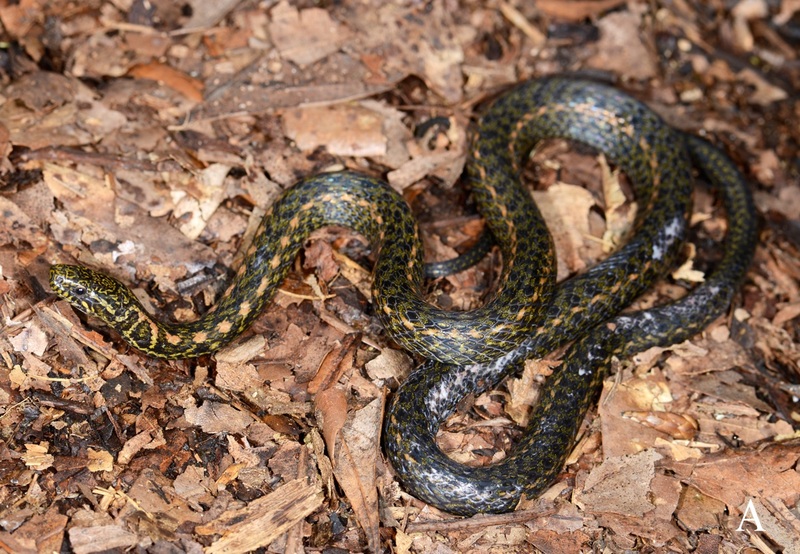 We suggest “SaPa Keelback” as its common name, and “Sha Ba Fu Lian She” as its Chinese common name.